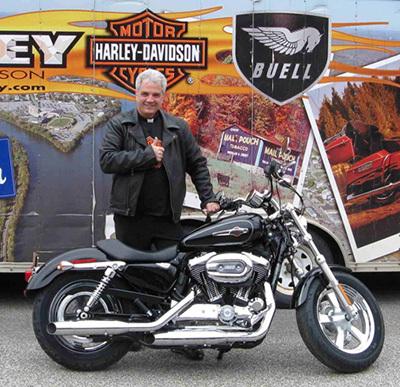 Father William J. Kuchinsky, a priest of the Roman Catholic Diocese of Wheeling-Charleston, W. Va., and advisory board member of American Life League, recently bought a new Harley. Check out the photo below. 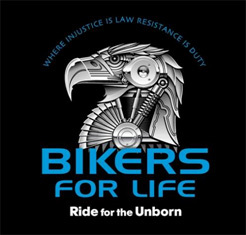 Bikers for Life is an outreach of Life Dynamics Incorporated in Denton, Texas. The Life Dynamics position is that no action should be legally permissible if its intent is to take the life of an innocent human being. In recognition that human life begins at fertilization, every unborn child is entitled to have his or her life protected by law under all circumstances and at every stage of development. In those extraordinarily rare instances in which a woman's pregnancy poses an immediate and life-threatening risk to her physical life, she should be allowed to direct her physician to perform any medical procedure that is necessary to save her. In that effort, however, the physician must always do everything that is possible to save both mother and child. If as an unintended consequence of that process, either of them does not survive, that should be treated as a regrettable but lawful outcome. When people make a commitment to defend the unborn and their moms against the horrors of abortion, it is crucial for them to identify that place in the pro-life movement where they are most needed and can be the most effective. Since this battle began, there have been people who have chosen to be in front of the clinics on the days when abortions are being done. Some of them are there to be 'sidewalk counselors' whose goal is to convince the moms going in to have a change of heart. Others are there to publicly picket or protest the clinic. Another group comes as prayer warriors on behalf of the women who are making this decision and the babies who are about to be killed. The effect these people have on the abortion issue is profound. From a pragmatic standpoint, it is literally true that thousands of babies have been spared because of the sidewalk counseling their moms received. Given that these women are walking into an abortion clinic, it would seem that this is destined to be a low-success effort. And generally speaking, it is. On the other hand, there are many instances in which this will be the first time these moms have been given the pro-life message. It is also common for women to be physically forced to submit to abortions and, in those cases, the sidewalk counselors are often the first people to intervene on their behalf. The reality is, babies are saved when the pro-life community shows up at the clinics on killing days. That is simply a fact. And whether the success rate is high or not is irrelevant. Every baby whose life is spared makes the entire effort worthwhile. There is also a spiritual component to this campaign. Over the years, those of us at Life Dynamics have had considerable contact with people who work at abortion clinics. When asked, these people will universally admit that they dread seeing pro-lifers on the sidewalk. They will say things like, 'something always seems different inside the facility on those days.' They talk about the tension this creates and the nervous uneasiness that sets in among the staff – even when the pro-lifers are doing nothing more than silently praying in front of the clinic. These clinic workers may not have a reference point to understand that they are in a spiritual battle, but they know that when the pro-lifers are out front, something happens inside the clinic that they cannot explain. At this point, many of these pro-lifers have been on those sidewalks for decades. They remain as committed as ever, but they are aging and they are getting battle-weary. This is the place where God has called the biker community. American Life League has worked tirelessly since 2003 to persuade American Catholic bishops and the Church to enforce Canon 915. This canon requires that those who are 'obstinately persevering in manifest grave sin are not to be admitted to Holy Communion.' Catholic politicians who publicly and repeatedly support pro-abortion and pro-euthanasia legislation knowingly commit grave (mortal) sin. Deliberate and notable irreverence toward the Holy Eucharist is reputed the worst of all sacrileges. This is why it is incumbent upon our bishops to protect the souls of errant pro-abortion public figures like House Minority Leader Nancy Pelosi and Vice President Joseph Biden. Enforcing Canon 915 is not a punishment; it is a mercy. It is long past due for all Catholic bishops to obey this Church law and enforce Canon 915. 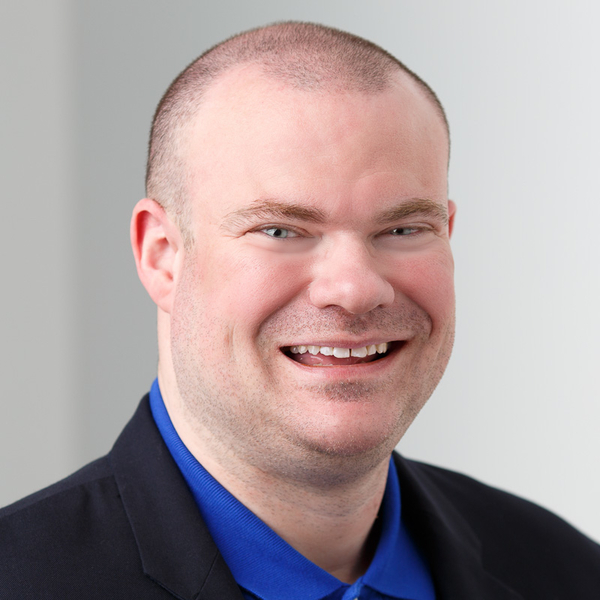 We humbly thank the organizers and signatories, including our own Michael Hichborn, director of American Life League's Defend the Faith program, in joining the call for Catholic bishops to honor the faith and help protect souls of defiant Catholic politicians. The full declaration and signatories can be found here.